It's getting cooler outside! Keep your hot chocolate andcoffee in an HH Design House personalized travel mug! Aren't you glad travel mugs are the October Item of the Day? 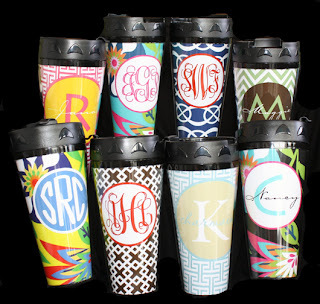 Travel mugs make great gifts for you favorite coffee drinker who is always on the go! Get your custom travel mug for a special price today! Enter the "saleoftheday" at check out at www.hhdesignhouse.com and get $5 off your travel mug purchase Today (October 5 at 3 pm CST) through tomorrow (October 6, 3 pm CST). Don't forget to enter your code! 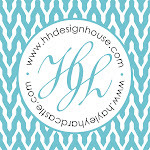 Shop online, call us 409.974.4122, email us at paige@hhdesignhouse.com, or come by our store, Happenings in Downtown Historic Galveston, Texas! We'd love to assist you with your order! 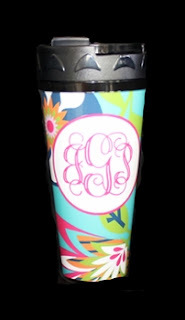 Each mug comes specially wrapped as seen in the above photo! 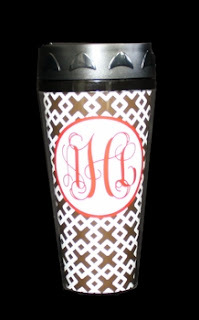 Pick from a variety of colors, monogram styles, and patterns. Have an idea you don't see here? We'll make it! The ideal traveling companion! Our 16oz. 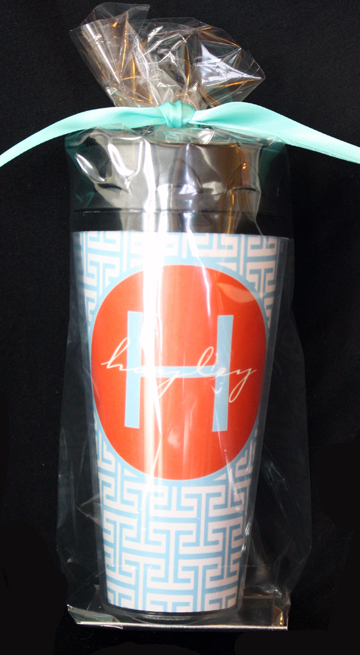 insulated tumbler will showcase your design or photo while keeping your favorite beverage hot or cold. **Must order between (October 5 at 3 pm CST) through tomorrow (October 6, 3 pm CST) to receive discount.